Sour Tsunami became famous for being one of the first strains bred, by Lawrence Ringo, for high CBD rather than THC. 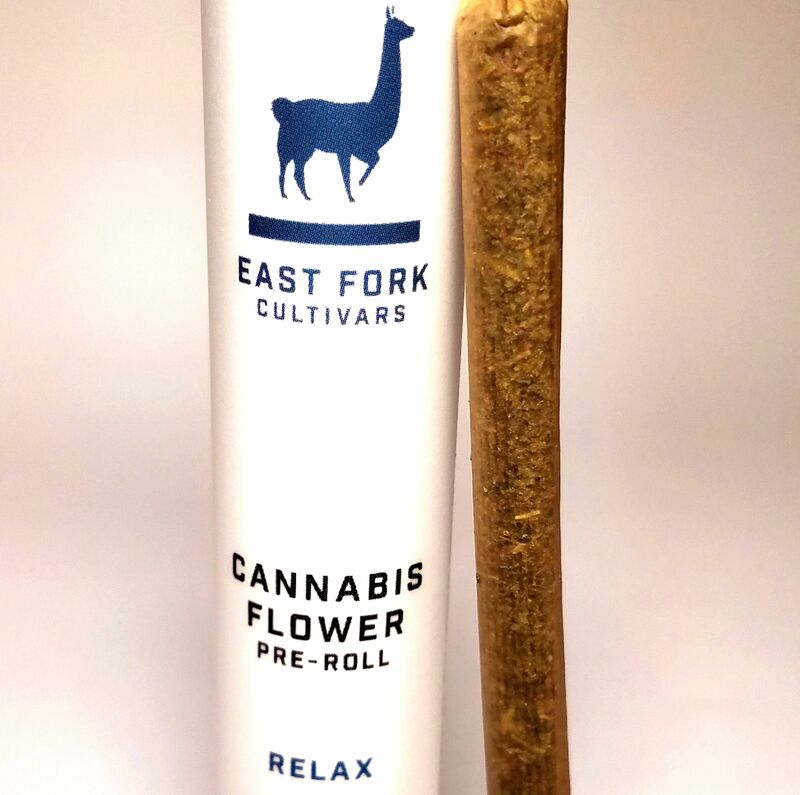 This year is East Fork best batch ever, with 6% higher potency on CBD with this strain along with fuller buds and slightly higher terpene ratio's! This is incredibly fresh outdoor, as it just came back from testing early this week, so prepare your nose for a joy ride on waves of lemon, lime, cream, and diesel. Ringo's Story on making this strain: I saved seeds whenever a plant gave me a creative feeling. I bought ‘New York City Diesel’ seeds from Marc Emery. I took the males from that and crossed them onto Sour Diesel female clones. I crossed the NYC Diesel and the Sour Diesel for about four years—kept crossing it back to the Sour Diesel clone. Each year I’d save the male and do the dusting and make my seeds. One year a friend popped in with something that had a really nice creamy taste. I thought it was an indica but it turned out to be 60% sativa called Ferrari. I’ll never forget that creamy taste. I smoked it and my brain just took off. I’m a musician so I just grabbed a guitar and was going nuts for hours. It took me about a year to get that Ferrari clone… I crossed my Sour Diesel—Double Diesel, I called it—to the Ferrari clone five years ago. Two years ago I re-crossed it back onto the Sour Diesel. Before I did that I had this thing called Tsunami. It was the Double Diesel crossed four times to the Sour Diesel then crossed to the Ferrari and then crossed back to the Sour Diesel. That made Sour Tsunami. It’s unbelievable. The creamy taste was there. I had no idea what the CBD count was until Samantha Miller [of Pure Analytics] analyzed my stuff and said it was 11.3% CBD. forward to a relaxing, energetic mind boost and body relief to tackle a long to-do list, hit the gym, or provide aid for those about to engage in an intellectually taxing task.